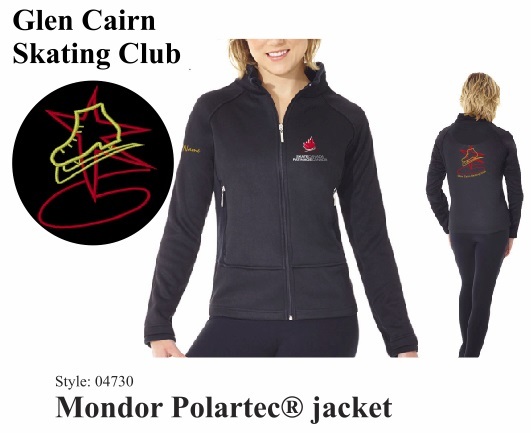 Based in Kanata (west end of Ottawa), the Glen Cairn Skating Club offers skating instruction to all levels of skaters. 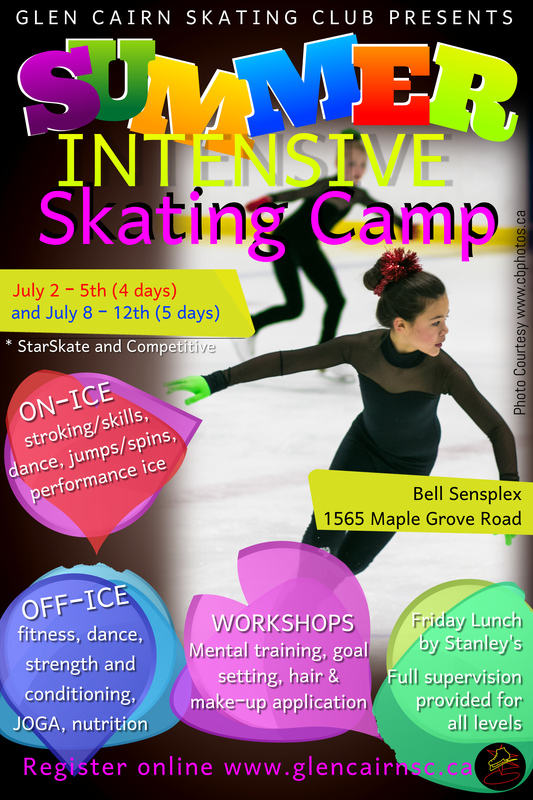 We offer a learn-to-skate CanSkate program, a hockey/ringette skills-based CanPowerSkate program and a figure skating STARskate and Competitive Skate program. All ice sessions are held at Bell Sensplex and Jack Charron Arena. Registration for Pre-Summer and Summer is now OPEN. Please verify your program selections with your coach before registering for May through August. Must have passed at least Stage 4 CanSkate, have figure skates and have hired a coach. (If skater is working on Stage 5, s/he must wear a CSA approved helmet). Must have passed COMPLETE STAR 3 Freeskate test. Must have passed COMPLETE Senior Bronze Freeskate test. Ravi Walia will run a two-day seminar hosted by our club. Ravi Walia holds the 2013 & 2018 Skate Canada’s Coaching Award of Excellence and is the Coach of Kaetlyn Osmond, three-time National Champion, 2018 World Gold Medalist & 2018 Olympic Bronze Medalist. * 4 on-ice sessions (per group), focusing on Edges/Footwork & Jumps/Spins. * 4-5 off-ice sessions (per group) focusing on stretch, flexibility & injury prevention. 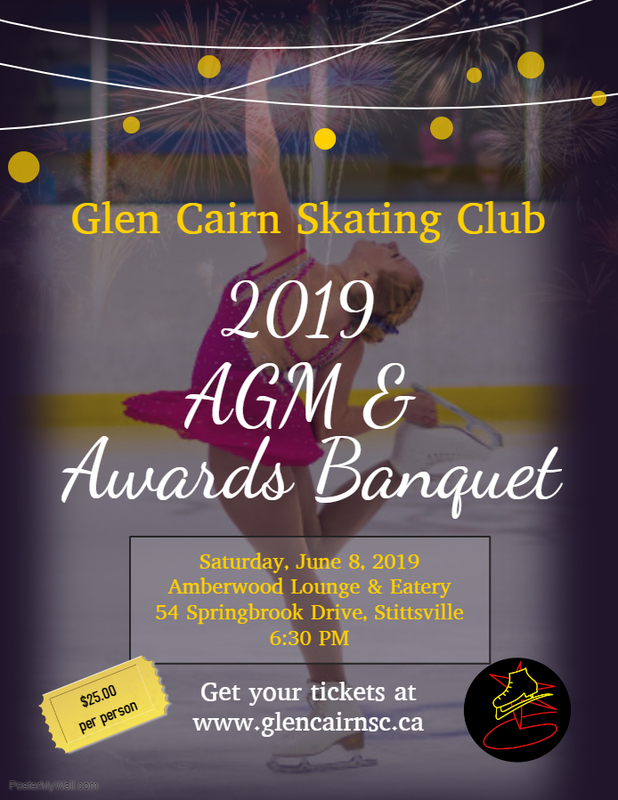 Ticket are now on sale for our annual general meeting and skating awards banquet, to take place on Saturday, June 8 at Amberwood Lounge & Eatery in Stittsville. It is sure to be a great party! Here is the Volunteer Sign-Up Sheet for those who wish to earn back their volunteer fee by playing music during ice sessions.